Excuse the 'newby' question, but I am trying to teach myself to use this lovely kit and I was used to the old Hyperfocal Indicator on old manual lenses but unclear how they work on the DA* range. I have picked up a lovely set of 16-50, 50-135 and 300 and really want to start to 'drive these' properly. 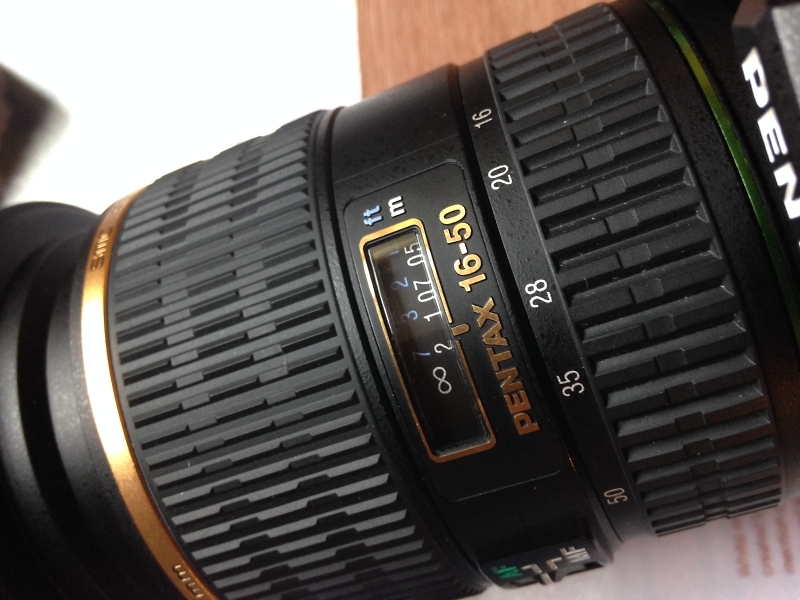 Well many of the old manual focus zooms did not have them either as the numbers change as you zoom the lens. Thanks, I wonder what the point of it was then?? What was the point of what ? Well, it is just a distance scale. I downloaded the DOF App for PC and the iPhone (but can't seem to change the camera sensor type in App or make any other adjustments) so next challenge. You can set the the camera to give you a DOF preview. Simpler than carrying a computer to work it out in the field. With automatic focus there really isn't the need for pre-setting the lens at the hyper-focal distance any more. If it's an old manual focus lens and it has the DOF scale on it then it's still there to use. A useful "rule of thumb" to maximise depth of field by using the hyperfocal distance is simply to set a small aperture such as f/16 and focus about one third of the way into the scene. It works and doesn't need lots of calculations. Thanks all, I must admit it has been an interesting 'learning curve' understanding the complexities of Focal Lengths and f Stops to consider those 'artistic' bokeh filled images rather than point and 'Auto Shoot'. A challenge for sure but something to develop a 'style' with all the variations of lens and settings. But I guess that is what Photography should be all about. I have learnt that how shallow the depth of field can be on certain lenses and probably explains the critical nature of accurate focus for some of these.